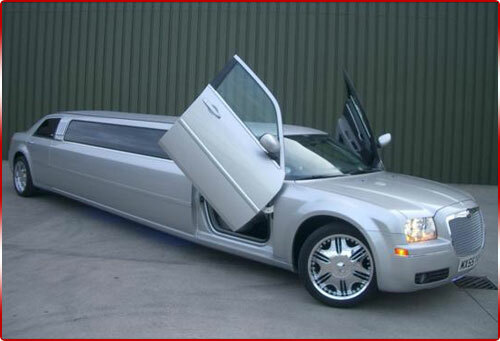 The modern and stylish Bentley look Chrysler C300 stretch limousine is a magnificent silver limousine. 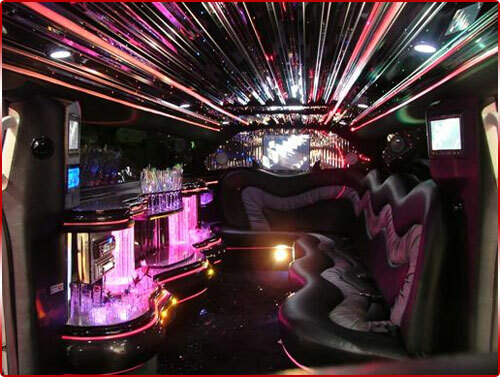 It is an extremely popular for chauffeur driven vehicle to hire for schools proms with a group of friends. This limousine is excellent in style, class and performance. It really is one of the best limousines produced. Each vehicle has lavishly equipped interior and executive luxury seating, there is plenty of room for you and your guests to stretch out in the back and relax. When you hire this silver limousine for your school prom, you will find that our professional chauffeurs have the necessary experience, knowledge and appearance that are needed to satisfy your prom transport needs. We provide a premium level of transport service ensuring that you and your guests feel like VIP's. Traveling in this luxury and stylish vehicle allows you and your guests to arrive to your prom in style and sophistication. During your journey, you and your guests will have opportunity use this vehicle's fully loaded features including the flat screen TV, DVD player, optic lights, neon lights, strobes, star glazes and air conditioning, whilst enjoying a glass of champagne or soft drinks if you prefer. Our professional chauffeurs have the necessary experience, knowledge and appearance that are needed to satisfy you needs, providing you with a premium level of transport service. We know you will enjoy this traveling experience; there's plenty of fun to be had in this vehicle! So bring along your camera and your chauffeur will make sure that you have photograph opportunities inside and out of the silver Chrysler C300 stretch limousine. Let's face it; you will be dressed in tuxedos and ball gowns and looking stunning so will want lots of photographs. Prom Limo Hire is also able to offer you the opportunity to hire this vehicle in white. 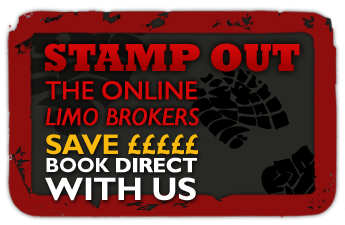 We offer our services to most towns, cities in the Midlands. 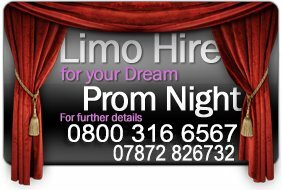 Especially Prom Hire Nottingham, Prom Hire Derby, Prom in Lincoln, Prom in Sheffield. With each booking you will be provided with complimentary soft drinks which you and your guests can enjoy whilst cruising in style in your hired Baby Bentley limousine. Not only will you look good but you will feel good cruising around as you travel to your school prom in the Chrysler C300 stretch limousine - attracting admiring glances from on lookers!